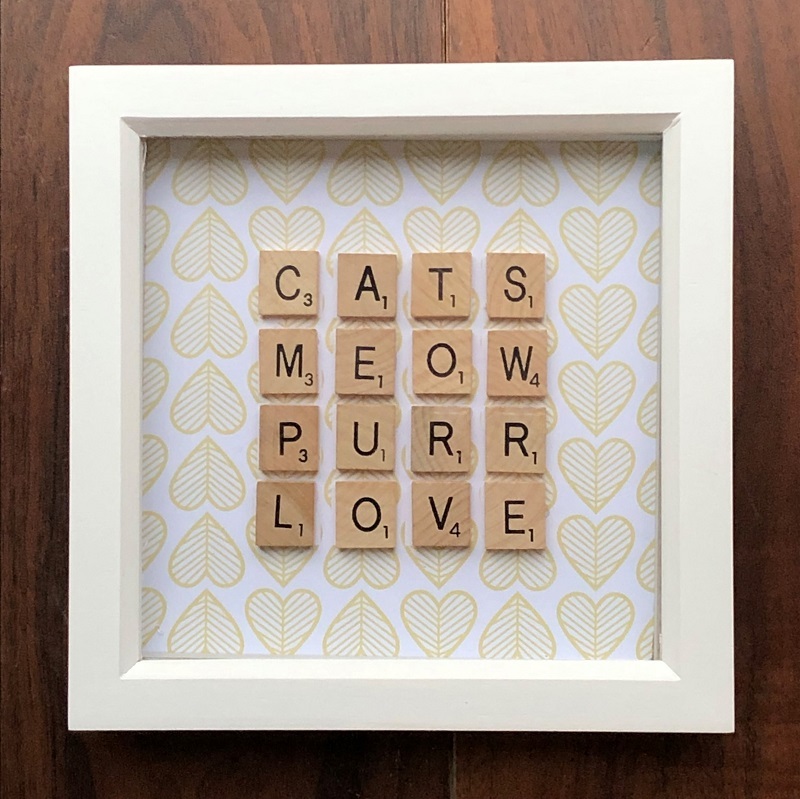 We had been wanting to add this scrabble tile art for a long time. 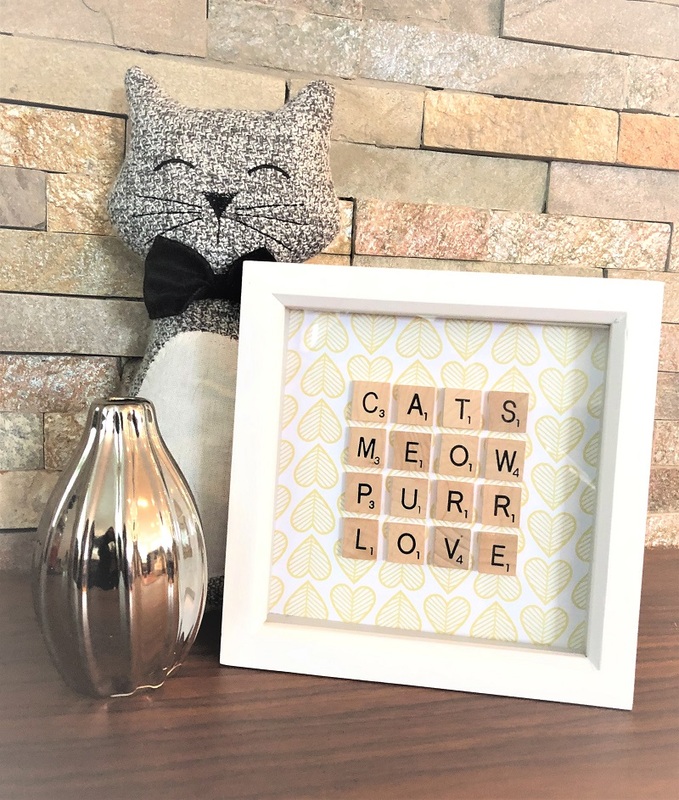 And when our designers paired the classic ktty words with the Scandi inspired print for the background, we knew we had a winner for our January 2019 Scandi design box. Exclusively and lovingly handmade just for this box. White wooden frame measures 15 cm X 15 cm.